Lakewood Ranch Medical Center is the first in the Manatee and Sarasota area to utilize the SAVI SCOUT® wire-free radar localization system. Lakewood Ranch Medical Center continues to demonstrate its commitment to offering the most advanced treatment options to patients with breast cancer by becoming the first in Manatee and Sarasota counties to use the new SCOUT wire-free radar localization system during breast conservation surgeries. 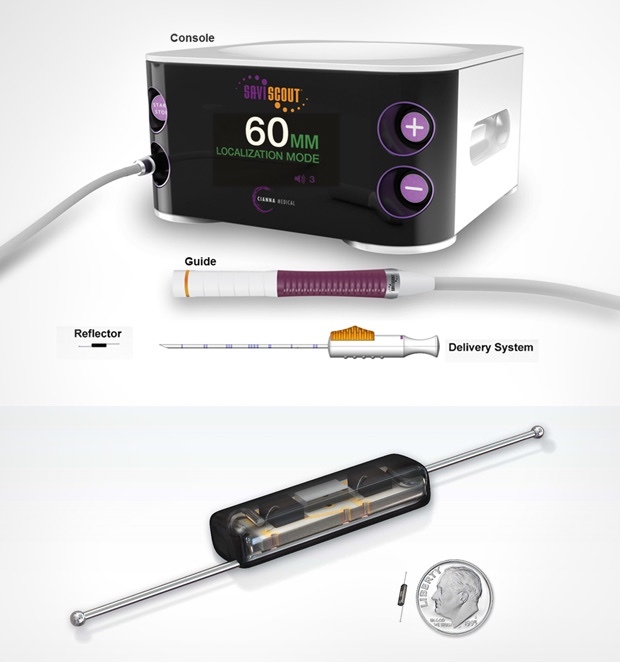 An alternative to wire localization, SCOUT is an FDA-cleared device used by surgeons and radiologists to precisely locate and direct the removal of a tumor to ±1mm of accuracy1 during a lumpectomy or surgical biopsy procedure. The ability to precisely locate tumors may increase the probability of complete cancer removal and can reduce the likelihood of needing follow-up surgeries – a huge advantage for early-stage breast cancer patients. In addition, the ability to strategically plan the incision may result in better cosmetic outcomes. Physicians are on the medical staff of Lakewood Ranch Medical Center, but with limited exceptions are independent practitioners who are not employees or agents of Lakewood Ranch Medical Center. The hospital shall not be liable for actions or treatment provide by physicians. Cox CE, Russell S, Prowler V, et al. A Prospective, Single Arm, Multi-site, Clinical Evaluation of a Nonradioactive Surgical Guidance Technology for the Location of Nonpalpable Breast Lesions during Excision. Ann Surg Oncol. 2016;23(10):3168-74.